Glucomannan is a soluble dietary fiber derived from the root of the konjac plant. Dr Oz recommends glucomannan as one of the best appetite suppressants. He calls it the “nature’s skinny sponge” because it can absorb water in the digestive tract to form a viscous gel that fills you up. It is so much easier to stick to a diet plan when you are not hungry all the time. Glucomannan may aid weight loss by reducing the absorption of carbohydrates and cholesterol. Since glucomannan can regulate blood sugar, it may help in controlling diabetes. Dr Oz recommended dosage: 1 gram, 3 times a day, before meals. Glucomannan capsule is the easiest and most convenient to take as an appetite suppressant. Glucomannan powder can be added to your foods and beverages, such as shakes, smoothies, green drink, smoothies, sauces, etc. It can even be used to thicken soups and stews. Glucomannan noodle, also known as shirataki, is a healthy substitute for pasta and other types of noodles. It is high in fiber and low in carbs. Natural Factors PGX Daily Ultra Matrix (capsules) is a blend of glucomannan (or konjac mannan) and coconut oil that disperses better than any other tested delivery system for soluble or insoluble fiber. It fills you up quickly and for longer period of time. 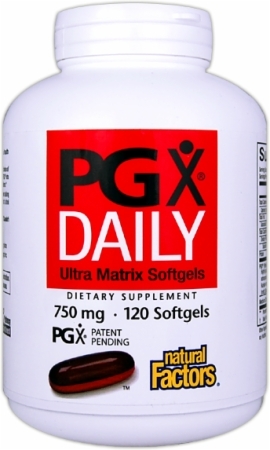 Natural Factors PGX Daily Ultra Matrix is available at Professional Supplement Center and Yes Wellness (Canada). If you prefer glucomannan in powder form, you can find Natural Factors PGX Daily Singles at Professional Supplement Center and Yes Wellness (Canada). 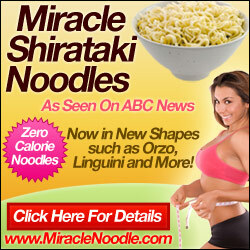 You can find shirataki noodles, pasta and rice made from glucomannan here. They are low in carbs, calories and glycemic index, so you can enjoy them guilt-free while reducing your calorie intake. Where To Buy Glucomannan/Konjac Supplement? « Re-Body SafSlim Belly Fat Solution: Does SafSlim Work? Glucomannan has demonstrated statistically significant improvements in the total cholesterol of obese patients. Glucomannan is an ingredient in a variety of dietary supplement products marketed to aid in weight loss but this natural supplement can help in other conditions as well. What I love about Glucomannan is that I can take it as supplement in a form of capsule, powder as an additive to the food I eat and as an additional ingredient to my smoothie plus a substitute to any desired types of noodles. It contains high fiber and low in a carb, which is a great help in achieving the desired weight loss.